The Ngoro Crater Lodge is distinguished by its unique combination of style and setting. Set high atop the crater rim, it is extraordinary in every sense. The Crater Lodge exudes a very special atmosphere, romantically characterized by its flower petal-strewn bath tubs with breathtaking views, personal fireplaces set around with leather-backed chairs, floor-to-ceiling windows dressed with raw silk curtains, illuminated with hand-beaded chandeliers. A personal butler draws the bath, stokes the fire and arranges fresh red roses in readiness for your return from your safari in the crater. 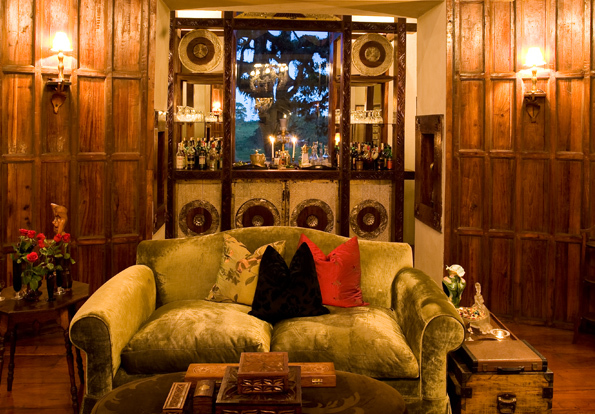 This is sure to be your most luxurious, pampering and memorable stay while on safari.